What is now a sea of grass and sky called Pawnee National Grassland was once littered with hopeful frontier families foraging westward in humble wagons. The Homestead Act brought around six million settlers to the West's plains by 1890, but harsh winters and droughts crushed their hopes of growing crops. Set up shop at this elm- and cottonwood-shaded camping and picnicking area. Tables, water, fire grates and grills, a baseball diamond, volleyball court and horseshoe pits make it a fun place to spend time with a group. From the camping area you can hike into the open prairie for world-class birding. Keep in mind that dusk and dawn are wonderful times to be out on the grasslands — there's great lighting for photographs, and the wildlife is more active. The area is located a quarter-mile north of CO 14 on Weld County Road 77, near Briggsdale. They're a little tricky to find, but these pinnacles rising straight out of the flat grassland will be obvious when you see them. And once you get here, there is lots to do. A 1.5-mile hiking and horseback trail leads from the parking lot to an overlook. Look closely along your journey for fossils — the buttes are one of the world's best sites for vertebrate fossils. In fact, some 100 species have been located near here. And don't forget your binoculars. Hawks, falcons and swallows nest in the surrounding cliffs, which are closed to the public from March through June. And they are just a few of diverse birds that call the grassland home. In addition, there are over 400 species of plants to check out. While you're exploring, look for arrowheads and other archaeological remains. But don't remove them — it's against the law. The buttes are located about 13 miles south of the Wyoming border north of CO 14. 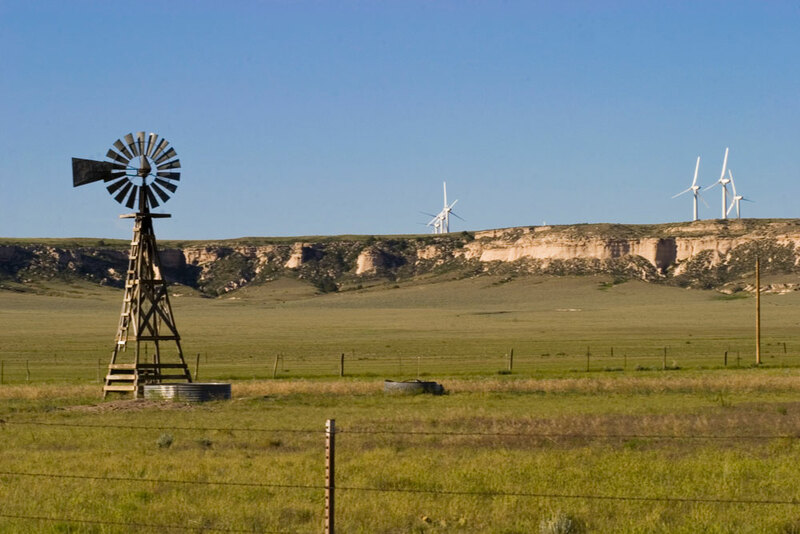 For information, visit the National Forest Service's Pawnee National Grassland site. You can make reservations at one of the area's three campgrounds here.